You can now download an importable version of the glossary from here. Termcat have made some of their terminology available here. The problem is, it is all in XML format, which is not easy to import into terminology databases. I’ve finally found how to import it. In this file you can see how I’ve done it for the snowboarding glossary. Look first at sheet 1. Columns A to G are part of the original Termcat xml files when you open them up in Excel. The other columns have been created by me to get the data in a useful format. You can copy the other databases into this template, though don’t forget to fill down with columns H onwards if the list is longer. The quickest way is to use file merging software to merge them all into a single file, then open that single file and copy it into the template. You may now want to select all the “Yes” rows (which are all grouped together) and copy them into a new file, which you can then import into your database. Hope you find it useful. I’m going to be busy this week. If somebody could send me a file with all the terminology, that would be great! By accident, I came across an article about Catalonia written by a Scot. Most articles about Catalonia either have a political bias or are not based on fact. But the article I came across today I found to be extremely well balanced and well researched. You can read it here. He shouldn’t really say that Catalans call the Spanish language castellano. Just say Castilian. Many Catalans actually call it castellà (the cognate of castellano in Catalan). He says that “written Catalan is now so dominant in Catalonia”. A trip to any bookshop or newspaper stand would show that, while Catalan is very much alive, it is not dominant. He claims that the word nationality “is deployed not just by political nationalists but by unionists who argue that a State with solid historical foundations can combine different but over-lapping patriotisms.” While this may be true in the UK, this is not true in Spain: the Catalan parliament recently approved a new Statute of Autonomy stating that “Catalonia is a nation”, but when the Statute passed through the Spanish parliament, the “unionists” had it removed. This is in stark contrast to the British Conservative and Unionist Party (the official name of the British Conservative Party), which has no issue with referring to the constituent countries of the United Kingdom as nations (see Letter to David Cameron (regarding Esperanza Aguirre)). Nevertheless, overall this is a good analysis, and I recommend it to any British readers interested in understanding a little bit more about Catalonia. Sé que la ortografía del inglés es complicada. Sobretodo la toponimia. Pero, ¿cuesta tanto buscar un poco? Suelo mirar los partidos del Premiership inglés en La Segunda y en Teledeporte. Cuando dan un partido el sábado a las 4, normalmente se juegan otros partidos simultáneamente. Cuando se marca un gol en otro partido, aparece en la pantalla. Pero semana tras semana los nombres de los equipos y de los jugadores están mal escritos. Está semana, por ejemplo, hemos visto Blacburn y Birmingham. Y solo es un ejemplo. ¿Cuántas veces leemos Foreing Office en los periódicos, por ejemplo? Yo no domino el portugués, y a menudo tengo la duda de si se escribe Jose o José. Si lo tuviera que escribir en algo que estaría publicado, sobretodo si lo vería miles de personas, me aseguraría que esté bien escrito. ¿Por qué no se pueden mirar si se escribe Blacburn o Blackburn. Solo lo tienen que mirar una vez, y, una vez encontrado, utilizar esta ortografía cada semana. Aquest anunci ja és antic. Consulteu l’anunci més actualitzat, fent clic aquí. This notice is no longer valid. Please consult the up-to-date ad by clicking here. Este anuncio ya es antiguo. Consulte el anuncio más actualizado, haciendo clic aquí. Cette annonce n’est plus valide. Merci de consulter l’annonce actualisée en cliquant ici. To read this in English, scroll down. Más abajo, puedes leer este mensaje en español. En bas, vous pouvez lire cette annonce en français. Habitació: individual, interior i amb finestra. Llit amb matalàs i llençols, armari, escriptori. Direcció: Passeig de Valldaura, 246, escala esquerra, 3r 1a. Metro: Llucmajor, línia 4. També a prop de les línies 1, 3 i 5 i la línia de la RENFE que va cap a Sabadell, Terrassa, la UAB etc… Per arribar al pis des del metro Llucmajor, quan surtis del metro, ves cap a la plaça i gira cap a la dreta. El pis es troba a la dreta. Zona: tranquil, però amb bones connexions amb el centre. Tenim al costat l’Heron City (cinemes, restaurants i botigues de roba molt barates), el Corte Inglés, i una oferta àmplia de supermercats. Amb qui viuràs? : Jo em dic Tim. Sóc anglès, de 26 anys. Sóc traductor. Visc amb la Martina, una gallega de 26 anys, estudiant de geografia. En total serem tres. Porto quasi dos anys i mig compartint amb la Martina i mai no he tingut problemes. És un pis tranquil, ideal per estudiar o treballar-hi. Llum, gas i aigua: 22€/mes. Tenim televisió per cable, internet i telèfon amb la mateixa companyia. Pels tres serveis, són uns 27,50€/mes/persona. Totes les trucades a fixos de l’Estat espanyol són gratuïtes. Room: individual, with an interior window. Bed with mattress and sheets, wardrobe and desk. Address: Passeig de Valldaura, 246, Escala Esquerra, 3r 1a Metro: Llucmajor, line 4. Also close to lines 1, 3 and 5 and the RENFE line towards Sabadell, Terrassa, the UAB, etc. To get to the flat from Llucmajor metro station, as you leave the station walk to the large roundabout and turn right. The flat is on the right-hand side. 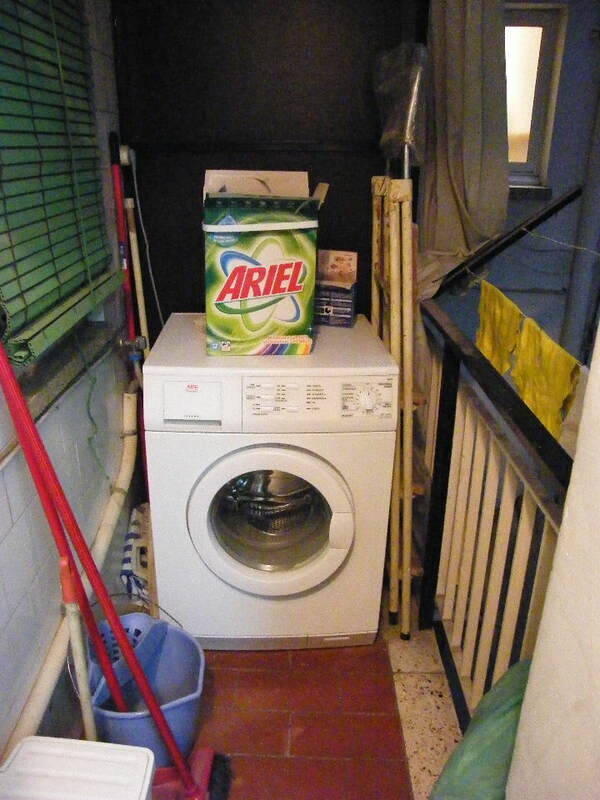 Area: quiet, but with good links to the city centre. Heron City (cinemas, restaurants and cheap clothes stores), Corte Inglés and various supermarkets near by. 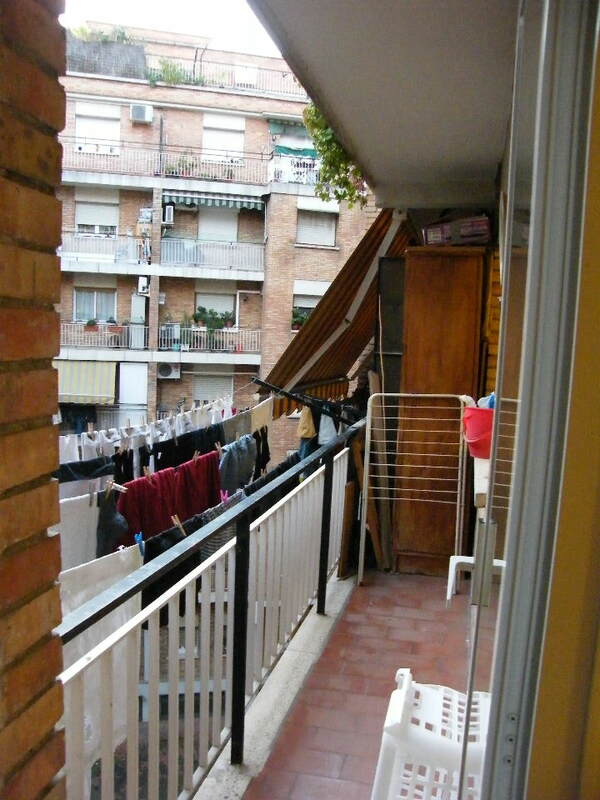 Flat: 65m2. Modern and furnished. Cable television (with various international channels, including BBC World, CNN, RTP, Eurosport, etc…), 4MB ADSL Internet connection, telephone landline, iron, dishwasher, washing machine, oven, microwave, dining table and four chairs (folding table for more people) etc. Who will you live with? : I’m Tim, 26 years old from England. I work as a translator. I live with Martina, a 26-year-old girl from Galicia studying Geography. There will be three of us in the flat. I have been sharing with Martina for nearly two and a half years and have had no problems. The flat is quiet, ideal for studying or working. Electric, gas and water: €22/month. We have cable television, Internet and telephone with the same company, and we pay €27.50 per month per person. All calls to Spanish landlines are free. 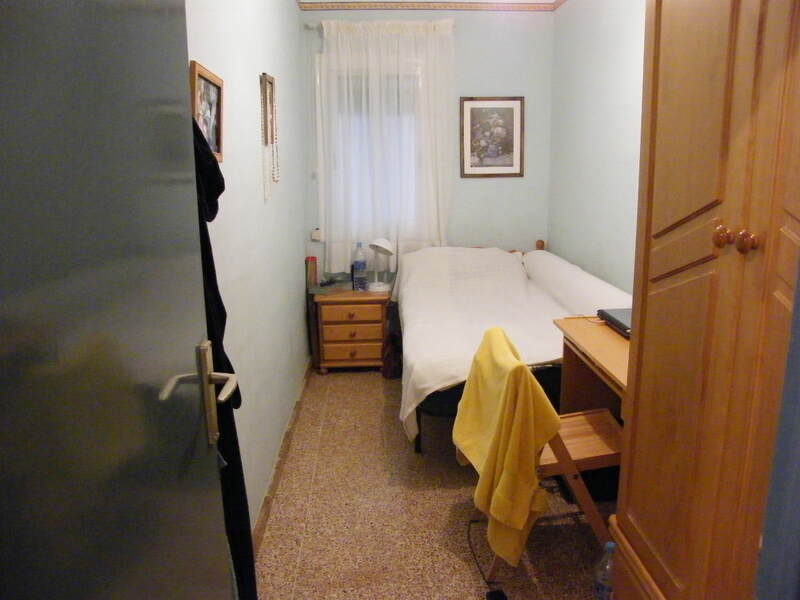 Habitación: individual, interior y con ventana. Cama con colchón y sábanas, armario, escritorio. 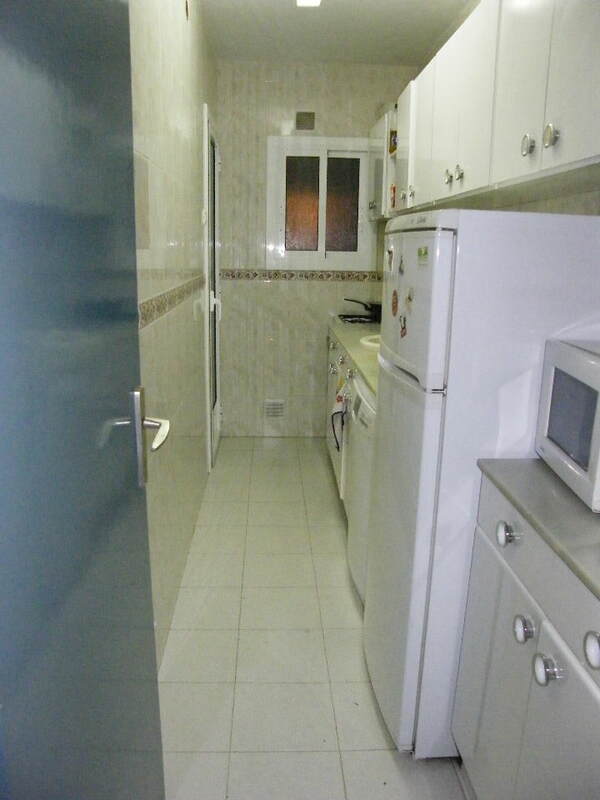 Dirección: Passeig de Valldaura, 246, escala esquerra, 3r 1a. Metro: Llucmajor, línea 4. También cerca de las líneas 1, 3 y 5 y la línea de la RENFE que va hacia a Sabadell, Terrassa, la UAB etc… Para llegar en el piso desde el metro de Llucmajor, al salir del metro, vas hacia la plaza y gira a la derecha. El piso está a la derecha. Zona: tranquilo, pero con buenas conexiones con el centro. Tenemos al lado el Heron City (cine, restaurantes y tiendas de ropa muy baratas), el Corte Inglés, y una amplia oferta de supermercados. Con quien vivirás? : Yo me llamo Tim. Soy inglés, de 26 años. Soy traductor. Vivo con Martina, una gallega de 26 años, estudiante en geografía. En total seremos tres. Llevo dos años y media compartiendo piso con Martina y nunca he tenido problemas. Es un piso tranquilo, ideal para estudiar o trabajar. Luz, gas y agua: 22€/mes. Tenemos televisión por cable, internet y teléfono con la misma compañía. Por los tres servicios, son unos 27,50€/mes/persona. Todas las llamadas a fijos de España son gratis. Chambre : individuel, intérieur avec fenêtre. Lit avec matelas et draps, armoire et bureau. 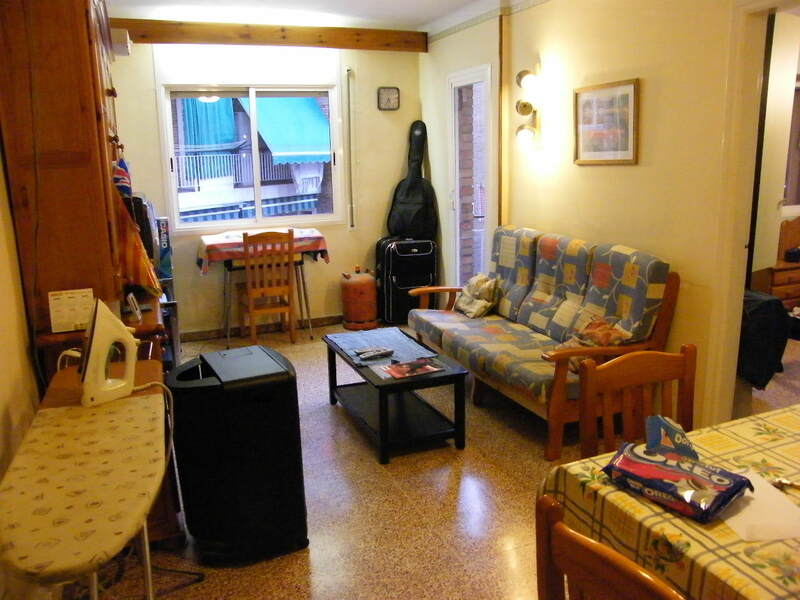 Adresse : Passeig de Valldaura, 246, escala esquerra, 3r 1a. Métro : Llucmajor, ligne 4. Aussi près des lignes 1, 3 et 5 et de la ligne de train pour Sabadell, Terrassa, l’UAB, etc… Pour arriver à l’appartement depuis le métro Llucmajor, quand vous sortez du métro, allez vers la place et tournez à droite. L’appartement se trouve du côté droit de la rue. Quartier : tranquille, mais avec de bonnes connexions avec le centre-ville. À côté, nous avons Heron City (cinéma, restaurant et magasin de vêtements pas chers), le Corte Inglés, et plusieurs supermarchés. Avec qui vivrai-je ? : Je m’appelle Tim, je suis anglais, j’ai 26 ans. Je suis traducteur. J’habite avec Martina, 26 ans, étudiante en géographie, de la Galice. Au total on sera trois personnes. Je partage l’appartement avec Martina depuis deux ans et demi, et je n’ai jamais eu de problèmes. L’appartement est tranquille, idéal pour étudier ou travailler. Électricité, gaz et eau : 22€/mois. Nous avons télévision par câble, Internet et de téléphone avec la même compagnie. 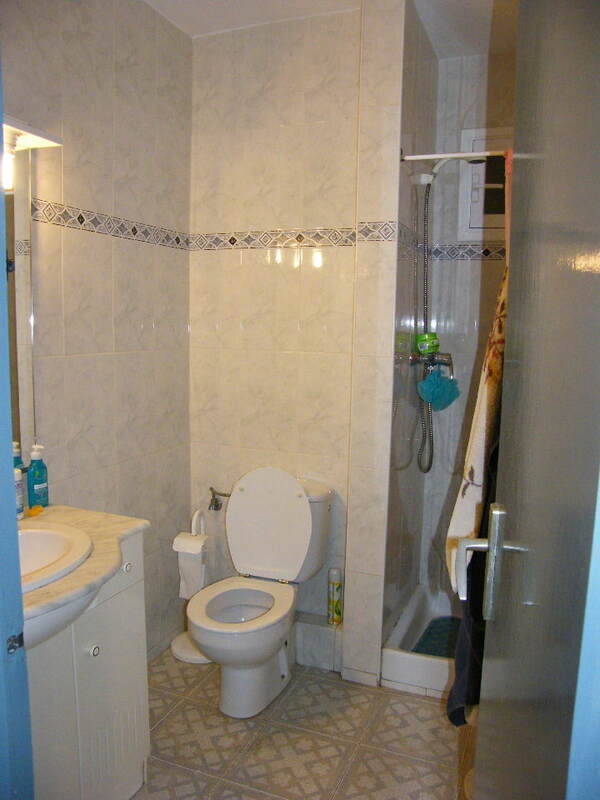 Pour les trois services, nous payons 27,50€/mois/personne. Tous les appels à des numéros fixes en Espagne sont gratuits. If you type =rnd() into a Microsoft Word document then press enter, then on your screen will appear a sentence containing all the letters of the alphabet once and only once. The The exact sentence depends on what language you have Microsoft Word in. In English, the sentence is The quick brown fox jumps over the lazy dog. You can see what sentences are used in other languages here. Complete gibberish, but grammatically correct. There will be a winner for each language: the person whose text has the least number of characters, including space bars and punctuation (but you cannot leave out punctuation if it makes your text grammatically incorrect). When you post your answer, please enter an e-mail address you haven’t used on here before (make one up if you like). That way, your answer will not be visible to others until I’ve moderated it. The other day my website and blog were both down. I wrote to the guys at Kazix (who have very English names when they write back, but who are clearly not native English speakers, and obviously use false names), and they got my website up and running again. There were still problems with my blog, however. To cut a long story short, I eventually — after about a whole day of trying to sort it out — managed to get it up and running again by reinstalling WordPress and importing a backup copy. Two problems: my most recent posts had disappeared, and all accented characters were in bizarre code. After at least an hour reading about all sorts of very complicated solutions, I eventually found this wonderful, easy-to-use plugin, which sorted everything out except the names of my categories, which was quick enough to sort out manually. My only remaining problem were the missing posts, but I managed to sort this out by finding the posts in Google’s cache, which meant I was even able to recover all the comments made. Hopefully my blog is now back in order. If anyone spots any remaining anomalies, please let me know, and I’ll try and sort them out. Finally, I would love to hear proposed translations of “palaver”. Off the cuff, the best I can come up with in Catalan and Spanish are “embolic” and “rollo” respectively, though I’m sure some natives can come up with something better. Also, according to my dictionary, it means something completely different in American English (see below), so what would you say in America? 1 [U, sing.] (BrE) a lot of unnecessary activity, excitement or trouble, especially caused by sth that is unimportant. Syn: fuss. What’s all the palaver about? What a palaver it is, trying to get a new visa! 2 [U] (NAmE) talk that does not have any meaning; nonsense: He’s talking palaver.